Cruise lines routinely “reposition” ships to take advantage of the season or the market for one popular locale over another. Liners move from Alaska to Hawaii, Mexico to Canada or make Trans-Atlantic sailings from the Mediterranean to the Caribbean (or vice versa). This particular Trans-Atlantic voyage, from Fort Lauderdale to Barcelona, was seventeen days long and took place on board the MS Nieuw Amsterdam — an eleven-deck, Signature class cruise ship and the second largest ship in the Holland America Line. 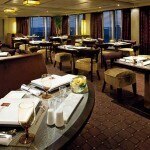 Seventeen days on a cruise ship may seem long, but time on board is a benefit, not a detriment. 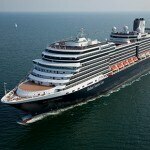 Never mind the myriad organized activities, exploring the Nieuw Amsterdam on your own could take days. 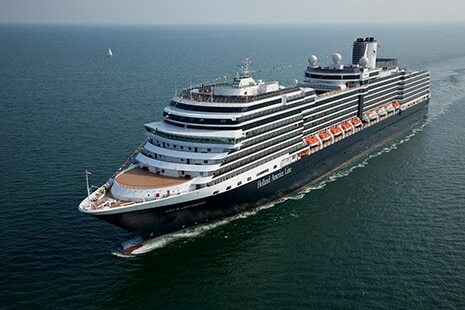 Launched from Italian shipbuilder Fincantieri’s Marghera Venice shipyard in July 2010 and weighing in at 86,000 tons, the Nieuw Amsterdam, in its interior design and art collection, celebrates the glamour and history of New York City (formerly called Nieuw Amsterdam). The artworks, valued at more than $3 million, range from antiques by traditional Dutch masters to creations by renowned contemporary artists. The spectacular centerpiece in the atrium was especially breathtaking — an abstract sculpture of the inverted New York skyline made from translucent blocks that hang upside-down by husband and wife Italian artists Gilbert Lebigre and Corinne Roger. Other notable artists’ works throughout the ship include those of Andy Warhol, Richard Estes and Roy Lichtenstein. True art lovers can enjoy the complimentary self-guided iPod art tour, which is the best way to appreciate the masterpieces throughout the ship. The ship’s daily newspaper, Explorer, is delivered to staterooms and features more than 50 activities scheduled each day. To name a few: dancing lessons, scavenger hunts, digital workshops, lectures, cooking classes, knitting, bridge, spa seminars on health and beauty, poker tournaments, bocce ball, mixology classes, wine and beer tastings, religious services and Bingo. 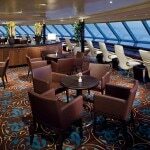 In the evenings, musical entertainment ranges from dancing at small music clubs and lounges to big stage productions in the Showroom at Sea. The theater features a musical repertory company showcasing singers from two distinct vocal styles (one operetta/musical theatre and the other contemporary pop), as well as dancers and comedians. Various combinations of performers — from violinists to jugglers — also make appearances. More onboard entertainment can be found in the form of musical tributes in the piano bar and game shows. 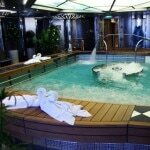 Many passengers have their own physical fitness routine — walking around the promenade deck or swimming in the pools, for example — but additional exercises and workouts start at daybreak with morning stretches at the Greenhouse Spa. It features interior or ocean-view treatment rooms, some with showers (for mud or sand therapies) while others are designated for hydrotherapies, including massage rooms. Some treatments include facial therapies, massages with fragrant oils, therapeutic water treatments, steam and herbal baths. You can also partake in hot stone massages, pedicures, facials, teeth whitening and acupuncture. A fully equipped fitness center is located in back of the spa, with treadmills, stationary bikes, stair climbers, rowing machines, weights and weight machines. 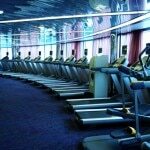 Most of the treadmills have a sea view over the bow of the ship. Fitness classes include yoga, Pilates, indoor cycling and Cardio Ki-Bo Circuit Training, all supervised by trained instructors. After working up an appetite, guests can find breakfast, lunch and dinner at the two-level formal restaurant (which also features a community table), Manhattan Dining Room, as well as the informal Lido, where a wide array of international foods are offered buffet style. 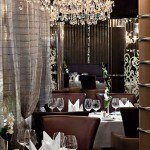 Additionally, specialty restaurants offer gourmet meals for a small surcharge: the remarkable Pan-Asian restaurant Tamarind and its adjacent bar, the Silk Den lounge; the Pinnacle Grill and Pinnacle Bar, a romantic and inventive fine dining space; and the family-style Canaletto Italian restaurant offering a small but appealing and well-executed menu. An added attraction is the Pinnacle’s Le Cirque Nights, when they offer a special menu based on dishes once served at the famous Le Cirque restaurant in New York City. 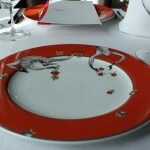 The meals were personally approved by Le Cirque’s creator, Sirio Maccioni, and are served on signature Le Cirque plates. One of the greatest advantages of booking a repositioning cruise is that they are deeply discounted. Fares vary from season to season and year to year, but for this voyage, cabins started at as low as $411. Don’t forget to factor in the cost of the flight home. There’s no round trip because the Nieuw Amsterdam will be spending the summer in the Mediterranean (hence the term repositioning). But flight bargains can be found (like the $400 one-way ticket back from Barcelona for this trip). That’s a seventeen-day vacation, including every meal, an array of activities, accommodations, shows and special events, for less than $1,000. What are you doing still reading this?